Da Nang – Summer Rendezvous Program, an annual event of Da Nang tourism will be officially launched at 17h30 on June 28 at Eastern Sea Park and finished on July 3. 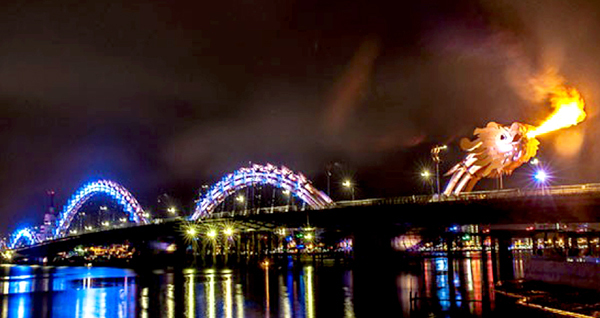 After the success of the International Firework festival 2013, the city of Da nang continues to hold another annual event namely Summer Rendezvous Program 2013. This is a tourism-sports-art chain of events, aiming to attract both domestic and foreign tourists to the city. In 6 days of the program, the highlight of the program is water sport activities, including beach volleyball, water sport performance, swimming competition and cross-country running. Besides, tourism relay competition and street music performances will be two interesting activities. Especially, this year’s program will include folk games, mini games for group and families, cute photographic backdrop and the “garden” of foods and drinks. These are extremely excited activities for tourists to joy. More especially, Art Football Festival Day with the participation of 60 players from 6 regional countries is expected to be the most arousing activity of this year’s program. It will definitely blow the summer and bring a fresh air for people here. The beautiful Da Nang is welcoming you to enjoy summer vacation with Summer Rendezvous program.